While Microsoft Surface Pro will not be launched alongside Surface RT tomorrow, you don’t have to wait long for it to actually arrive in Malaysia. Just moments ago, Microsoft have announced that the Windows 8 tablet will be heading to tons of new market including Malaysia in the next few months. 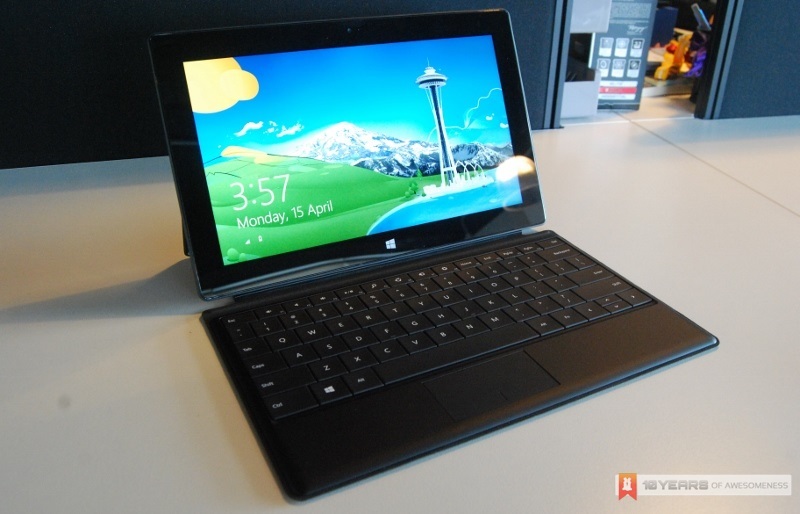 Specifically, the Microsoft Surface Pro is scheduled to be launched in Malaysia by the end of June. Naturally, no exact launch date and pricing have been mentioned in today’s announcement by Microsoft. Well then, we expect to hear more from Microsoft Malaysia when the time comes. Meanwhile, don’t forget to check out our brief hands-on preview of Microsoft Surface Pro right HERE.